Win $25 Shinto Gift Cards! Listen for Mitch Michaels’ River Riffs all week around 3:40pm for your shot at a $25 Shinto of Naperville gift card! Win a Pair of Tickets to see August Rush! Check out the prize vault at 959theriver.com for your chance to win a pair of tickets to the new musical August Rush! Win Doggie Diner Gift Cards! Listen to Nick Jakusz’ all-request Rock N Roll Diner all this week for a shot at a $25 gift card to Doggie Diner! 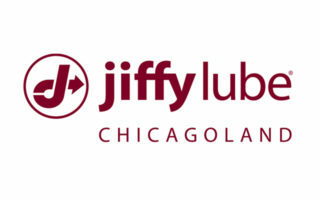 Listen to Scott and Danielle’s Blast From the Past contest in the 6a hour all this week to win a free Signature Oil Change, courtesy of Chicagoland Jiffy Lube! The River’s Moolah for Mom! Check out 959theriver.com for your chance to win $1000 for our Moolah for Mom Contest! Through May 10th, win cash for your mom just in time for Mother’s Day! Win an ecobee4 Smart Thermostat! We’re turning up the heat on climate change. Enter to WIN an ecobee4 Smart Thermostat! Listen, Enter, & Win! You have a chance to win $1,000 cash every weekday with 95.9 The River’s Keyword Cash brought to you by The Drake Oak Brook Hotel! Danielle Tufano Out at the Home & Garden Show in St. Charles! What’s a song that mentions candy or chocolate?